Age-related forgetfulness and caring for an elderly parent. Is the elderly person you care for becoming forgetful – maybe even confused and unreasonable? Fortunately, if your loved one is like that, there are many things you can do to help and support them. To help you care for your loved one, it’s good to understand their overall mental health. Depending on how aware they are of their situation, your caregiving might not be as straightforward as you would have hoped. If they have dementia, or they suffer from Alzheimer’s, you might like to have someone help you with changing and cleansing them. 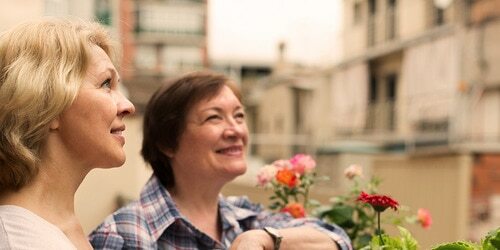 Below are some tips on how you can help a loved one who’s unable to think or express themselves clearly. The person you’re caring for may show some signs of wanting to visit the toilet. For example, they might fidget, pull at their clothes or stand up and down. Try to watch them closely and frequently. Become familiar with their behavior so you can recognize when they need your help. It’s important to be prepared for when your loved one needs to use the bathroom. This will help keep them calm and comfortable, and make your caregiving role easier. Having the right incontinence products is a great place to start. It’s also helpful to try to encourage her or him to form regular toileting habits. By recognizing when they need to go, you’ll help to preserve their self-esteem. Keeping the right products on hand will help make your caregiving much simpler. If you’re well prepared, it will be easier for you to help your loved one feel clean and comfortable. Having a kit with incontinence products, wipes, sealable bags, and an extra change of clothes will make it possible for you assist your loved one whenever necessary. If you’re planning to take your loved one out for the day, remember to plan which toilet they can use or where you’d be able to clean and change them. If your loved one has a more advanced form of incontinence, you can help them when they need to use the toilet. Encourage them to go to the bathroom with your support. Do an assessment and try to find out the best times to do this to get toileting when needed. When these times are identified , stick to the plan, follow them to the toilet at the same times each day. This could help them to form regular habits and potentially reduce incontinence episodes. 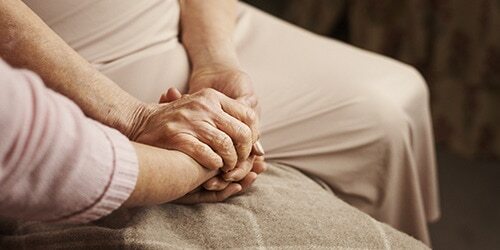 How to care for your loved one if they have mental health challenges.